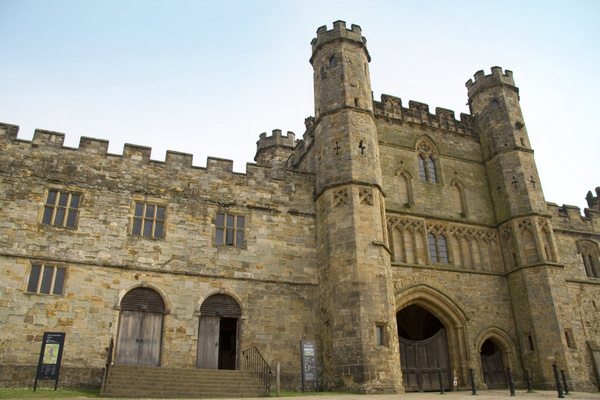 Enter our competition to win a commemorative 950th Anniversary Goody-Bag of the Battle of Hastings – COMPETITION NOW CLOSED! We’re very lucky to be based in Hastings on the East Sussex coast, in beautiful countryside, and just 6 miles away from the site of the Battle of Hastings, which took place nearly 950 years ago. Some confusion stems from the fact that the battle didn’t take place in Hastings at all, but in the nearby town of Battle, which took its name from the massive battle between the Normans and Saxons, to decide the fate of the English throne. 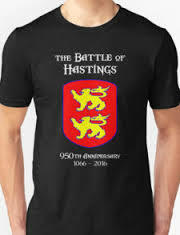 As the coastal town of Hastings was the nearest settlement at the time, the town has lent its name to the bloody clash, which had immense ramifications for not only the Saxon rulers at the time, but for English history going forward from the event. The town of Battle is dominated by the imposing Battle Abbey, which was built by William the Conqueror following the Norman Conquest, and in fact, the whole locality is known as ‘1066 Country’ due to the many local links with this momentous time, and the many visitors to the area that want to explore the past and present of this lovely part of the country. This year, the annual Anniversary has special significance, as it will be 950 years on 14th October 2016, since the battle took place. There are lots of events and activities planned to reflect this, including re-enactments of the dramatic battle itself, in the grounds of the Abbey. Find out more. Take a look at other events happening locally. How to enter the competition – and what you can win! All you have to do to enter the competition is take a look at our website, and find which page a Norman shield is hidden. Once you’ve tracked it down, then you can submit your entry at the bottom of this page, by selecting the page that the shield was hiding on, from our list of pages. The closing date for entries to be received is midnight on Monday 31st October. A winner will then be chosen at random from the list of correct entries received. 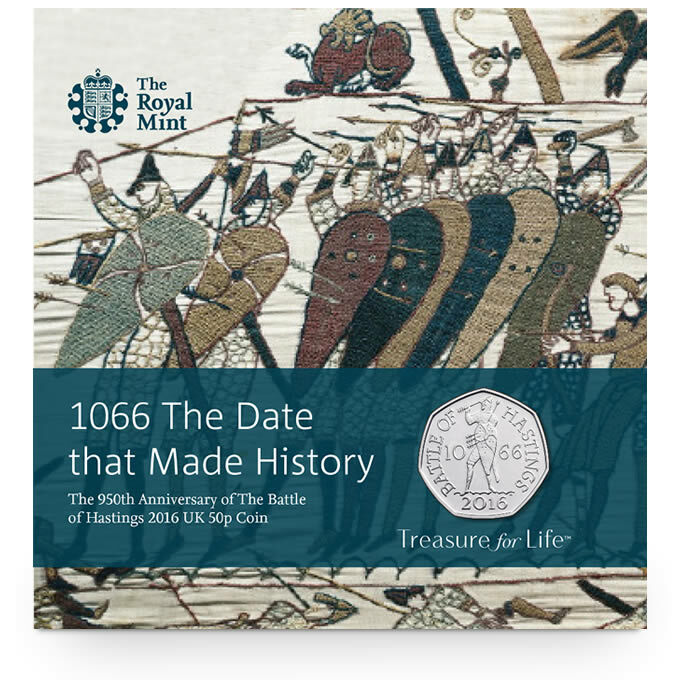 The lucky winner will win a Battle of Hastings 950th Anniversary Goody Bag, which will really help to commemorate the occasion in enduring style. As a special thank you to everyone who enters, you will then have access to a special Anniversary discount code of 10.66%, which you can redeem against any of our highly-rated travel insurance policies. Take a look at our FEEFO reviews here, and our range of travel insurance policies here. The discount code is valid until 30/11/2016 and is applied to the basic price of our policies, and not any options or additional premiums (for example, an increased premium to cover pre-existing medical conditions). It makes sense to buy your discounted policy as soon as you have a trip booked and paid for, as the Cancellation element of cover starts as soon as you buy any of our policies. What’s in the Battle of Hastings 950th Anniversary Goody Bag? This is the only official UK 50p coin to commemorate this anniversary. It’s presented with a detailed booklet, and pays tribute to 1066 when William the Conqueror successfully invaded Britain. The only visual record of the battle is depicted on the Bayeux Tapestry, brought to life with this beautiful coin. An upstart French Duke who sets out to conquer the most powerful and unified kingdom in Christendom. An invasion force on a scale not seen since the days of the Romans. One of the bloodiest and most decisive battles ever fought. 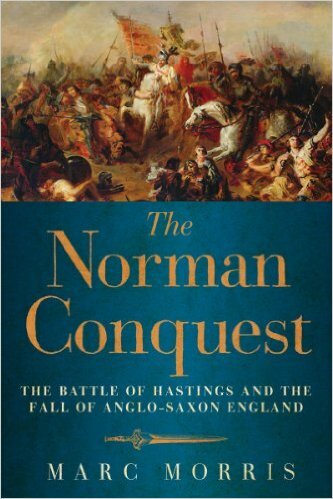 This new history explains why the Norman Conquest was the most significant cultural and military episode in English history. An ethically sourced, slim-fit T-shirt commemorating the 950th Anniversary, in a choice of 9 colours and 6 sizes – which the winner can select. Emblazoned with a Norman coat-of-arms and medieval-style writing, it is great to wear, or hang on the wall as a memento of the anniversary.